Like a community garden, you can buy into New Westminster's solar array. But instead of receiving fresh vegetables for your investment, you receive a saving in energy costs. Community gardens can be found all over the Lower Mainland — but only one city in the region has a community garden of solar panels. 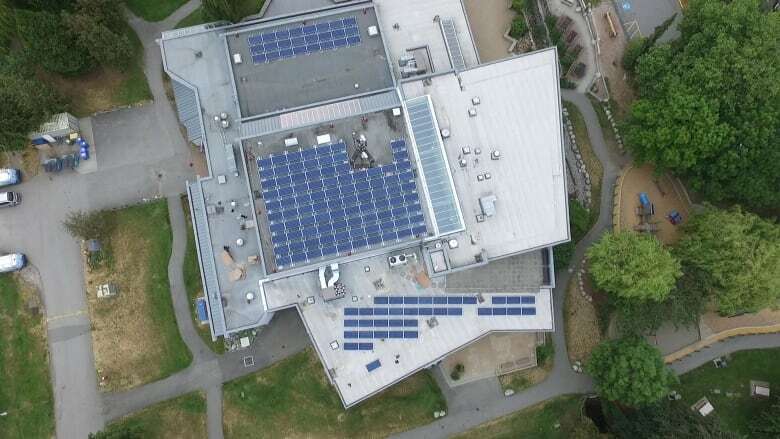 The city of New Westminster, B.C., has completed its first urban solar garden, on top of Queensborough Community Centre. The large solar panel facility was completed at the end of June and is now producing power. The 156 panels are laid out across different sections of the roof, positioned so they will receive the most sunlight possible. The facility is called a garden because it can be bought into, similar to a community garden. But instead of receiving fresh vegetables for your investment, you receive a saving in energy costs. 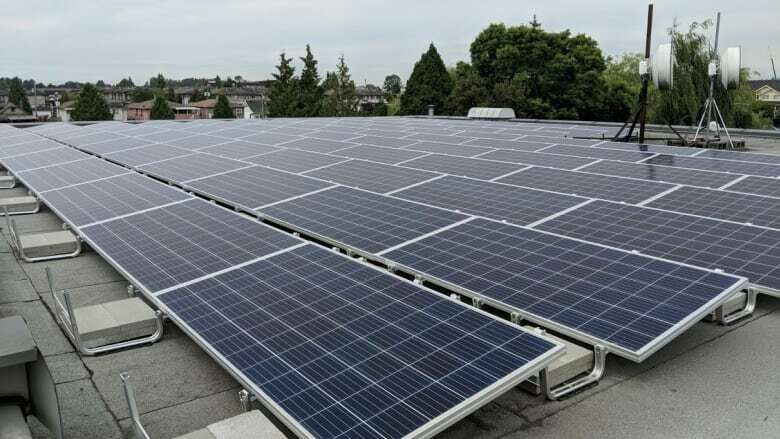 In the New Westminster solar garden, residents and business owners can choose to invest in up to 10 solar panels each in exchange for a discount off their electricity bill. Buyers don't purchase the panels themselves, but rather a subscription to the energy they produce. New Westminster's community energy manager, Norm Connoly, said all of the subscriptions were sold within three weeks. Each subscription costs approximately $800 and lasts 25 years. "There was some strong interest in this," said Connoly. 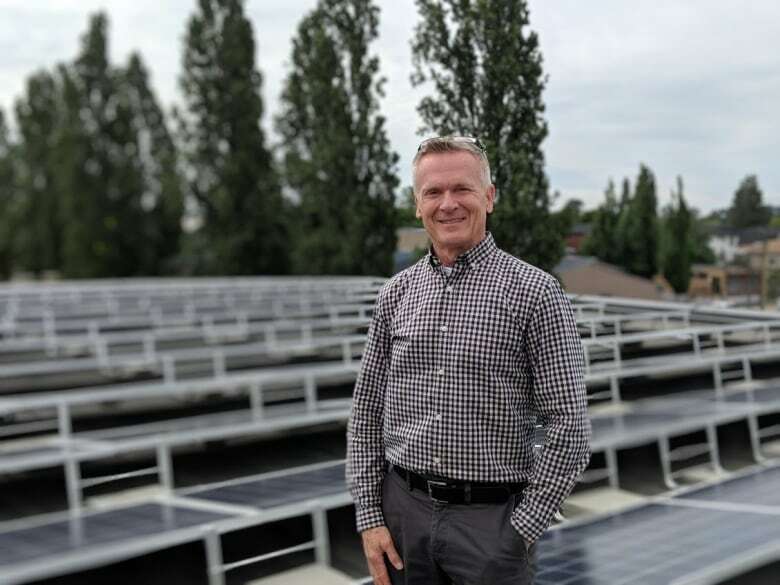 At the end of each business quarter, Electric Utility — New Westminster's version of BC Hydro — divides the facility's total energy output by the number of panels to determine how much each panel produces, and then gives an according discount to the consumer. Connoly said the city got the idea from Nelson, the first city in B.C. to build a solar garden. Nelson has had its solar garden up and running for about a year. Connoly said the Lower Mainland's often-overcast climate wasn't a major deterrent when considering the project. He pointed to the example of Germany, which is often cloudy but has widely embraced solar power. "Our solar generation potential averages as good, or better, than southern Germany," he said. "It's cost effective. And our slightly cooler temperatures are good for electricity generation." Connoly added that the panels are resilient to all types of weather — save for when someone has to go up and brush off snow.